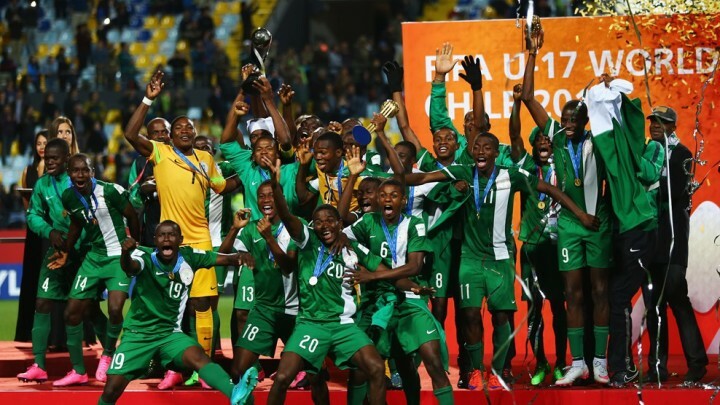 Nigeria Golden Eaglets became only the second side to retain the FIFA U-17 World Cup with a 2-0 win against Mali in Vina Del Mar, which they secured so impressively two years ago in the United Arab Emirates. Victor Osimhen stole the show once again thanks to his record-breaking tenth goal of the tournament, with Funsho Bamgboye adding a second moments later. Belgium had earlier finished third, after seeing off Mexico in a pulsating opening game for the concluding day. Samuel Diarra had saved an early Osinachi Ebere penalty as the Malians played their part in an entertaining finale to Chile 2015. Both sides had chances in a tense opening period, with Golden Eaglets skipper Kelechi Nwakali hitting just wide and Boubacar Traore seeing his glancing header tipped over by Akpan Udoh. The second half saw the game burst into life, with Emmanuel Amuneke’s words clearly working their magic on the Nigerian youngsters. Osimhen shrugged off the challenge of Mamadou Fofana before hitting a wonderful dipping half volley towards goal, which Diarra spectacularly saved. Udochukwu Anumudu then smashed a thunderous effort at goal, which rebounded back off the crossbar and was cleared away. Mali did not heed those warnings. Good approach play by substitute Chinedu Madueke saw him tee up Osimhen for his record-breaking goal, seeing him surpass the nine goals scored by Florent Sinama Pongolle in 2001 and Souleymane Coulibaly ten years later. 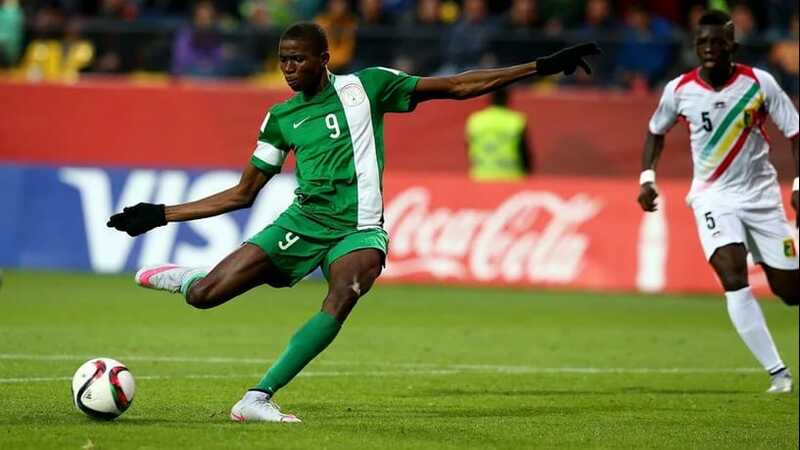 Golden Eaglets Forward Victor Osimhen is now holds the record of first to score 10 goals and scored in every game in the competition. Though Mali had a couple of late chances, from corner kicks, Nigeria retained possession for large spells and saw the game out to retain their crown. In so doing so, the Nigerians claimed the fifth U-17 World Cup crown, following on from their previous successes at China 1985, Japan 1993, Korea Republic 2007 and UAE 2013. In addition, they finished as runners-up at Canada 1987, Trinidad and Tobago 2001 and Nigeria 2009.